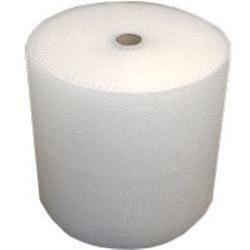 Standard sized bubble wrap, by far the most popular sized rolls, please note that ours are the full trade sized rolls and not the much smaller rolls of bubblewrap you might buy from self storage facilities of even the high street stationary companies. 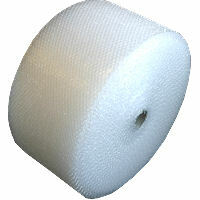 100 metre length rolls of bubble wrap sounds like too much and you would never use all of it, but you will! Bubblewrap 60cm wide rolls standard sized bubble, used to wrap furniture & paintings. 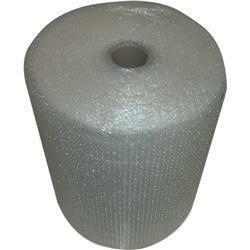 We stock standard (or small) bubble wrap in full trade sized rolls, 100 metre rolls of bubblewrap with a 10mm standard diameter bubble. 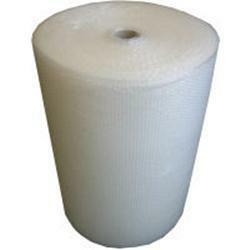 We sell single rolls of bubble wrap or multiple rolls in pre-packed bundles, with bubble wrap rolls in widths of 30, 40, 50, 60 and 75mm widths and 1000, 1200, and upto 1500mm or 1.5metre wide. 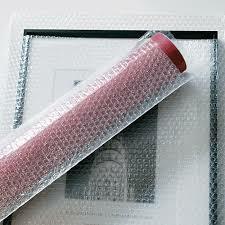 The standard bubble has 4 times the density of bubbles than the larger bubble wrap, reducing the potential damage caused when the bubbles breaks, such as on sharp edges or corners or when an item is dropped or just put down heavily. 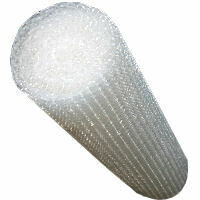 Also the smaller or standard bubble wrap has 100 metres on a roll compared to the larger bubble-wrap rolls which only have 50m, even though the larger rolls look bigger. Buy 5m rolls upto 100m full size trade rolls, if the removal companies can use several rolls of bubblewrap to pack your goods, maybe you should be carefull when trying to buy the general smaller 50m rolls. It is so easy to run out and you will use far more than you think! 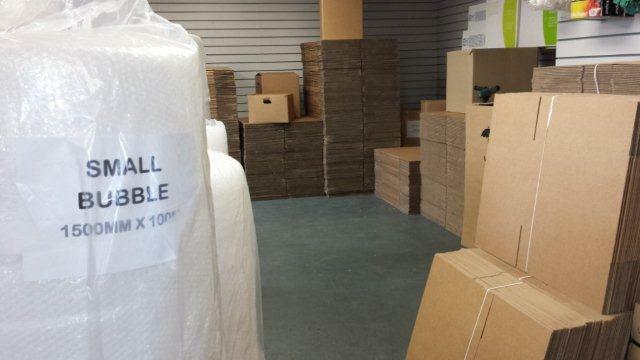 Visit our boxes & bubblewrap store on the outskirts of Birmingham, not from from the NEC & Birmingham Airport and we have everything in stock and in volumes to supply bubblewrap to the trade and wholesale so we definitely have enough for our retail customers.